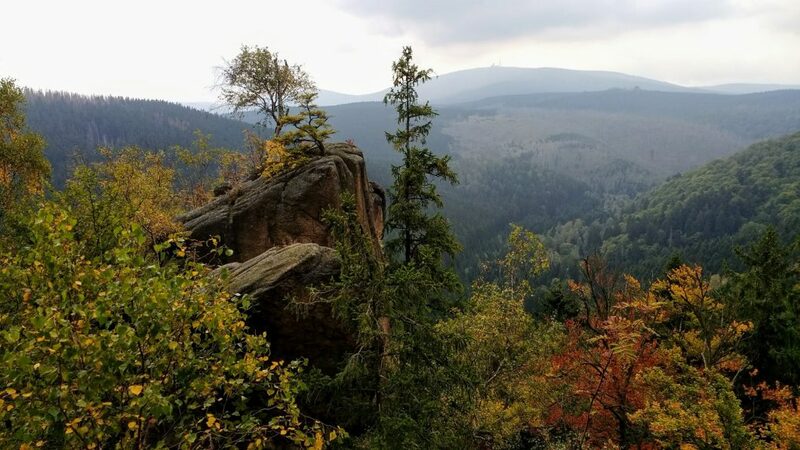 Stories from my life and travels as an American expat in Germany! Hamburg was the third city I visited during my first trip to Germany, way back in December 2015. Out of the three cities we visited, it was my favorite. Fast-forward nearly 3 years later, and we finally made time for a second visit. Planning one of your own? Here are some of my favorite things do in Hamburg. Hamburg has more canals than Amsterdam and Venice, combined. Its harbor is the second-busiest port in Europe and Germany’s largest. Touring the harbor or canals, beer in hand, is a great way to see a lot of the city in a short amount of time. You can zip around in a smaller boat, or go for something larger and a bit slower; perhaps, even have dinner while on board. Our tiny boat took us through the harbor and the Speicherstadt canals, all in just under two hours. The guide was very informative and friendly. I only understood some of what he was saying, but my husband translated the rest. If you’d like to take the same tour, check out Gregor’s website here for more information. If you’re looking for something a bit more casual, or in English, there are many other tours to choose from. In fact, there seems to be a different tour company every few feet on the Landungsbrücken. The Speicherstadt is the old warehouse district of Hamburg, and it’s the largest congruent warehouse district in the world. All of the buildings along the canal are supported by timber-pile foundations made of oak. 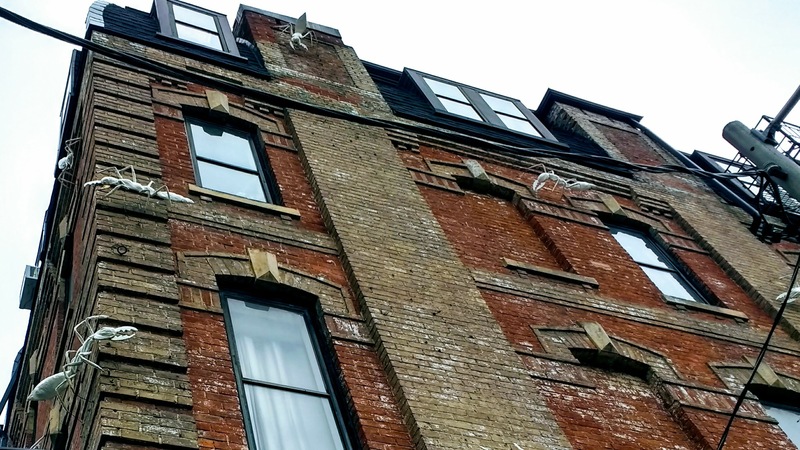 Most of these buildings have been converted into apartment and office space. However, many of the original pulley systems from its glory days are still in place. With several bridges connecting either side along the canals, there are many opportunities for great views. If you need an energy boost while exploring this district, head to the Speicherstadt Kaffeerösterei. Be ready to wait, though; it’s usually crowded and the lines are long. For good reason, though! Many visitors say it’s the best coffee in Hamburg. If you agree, you can visit the gift shop afterwards to purchase some beans for home. Once you’ve refueled, perhaps it’s time for a museum? Most of Hamburg’s best museums are also in this district, including my favorite, the Minatur Wonderland. The Miniatur Wunderland is a museum (or, perhaps more accurately, a show room?) with the world’s largest miniature railway. The trains go through various European countries and parts of America. Every display is intricately designed, with hundreds of figurines, moving parts, and working lights. They also have a night and day cycle, so you can experience the full effect. If you’re into photography, this place is great for forced perspective shots. Oh, and the Lindt factory recreation gives out pieces of chocolate! Mmmm. Way back during my first visit in 2015, we visited The Bird in Hamburg. Their menus make a big deal about eating burgers the “American way” with your hands, which I found amusing. They take this idea of doing things the “American way” even further with communal seating (which is very Midwestern craft brewpub) and huge portions. It was also the first time I ever saw a man bun, live and in the follicles. The service was a bit slow, but everyone enjoyed their food and craft beer. You should definitely stop by, if only for the experience of seeing what Hamburg thinks the “American way” is. Fast-forward to 2018, and this time we visited Otto’s Burger for lunch. I had the veggie chia seed and pumpkin burger, which was a lot tastier than it sounds. In fact, I’d go so far as to say it’s the best I’ve had, and I’ve had a lot of amazing veggie burgers in Germany. The vegan spicy mayo was better than real mayo. Also, the fries were very crispy and delicious…especially in that vegan mayo. The only fault I could see with Otto’s were the beer prices. We didn’t have beer, but I did have a quick look at their list. The markup on some of the beers was insanely high. How do I know? Well, we stopped at a beer store right after. I’ve mentioned previously that I miss craft beer in America. It’s not that Germany doesn’t have craft beer, it’s just that there’s not much of a selection outside of large cities. Well, Hamburg is a large city; at least, larger than tiny little Wolfsburg! So, the craft beer options are a bit more plentiful. And no other place in Hamburg has a better selection than the aptly-named Craft Beer Store. There were so many options, it was hard to fill up just one six pack to take home. So, we filled up a six pack and selected a wegbier for our walk around the city. If you’re visiting Germany–especially from a country with laws against drinking on the street–you should have a wegbier at least once. It might feel odd at first, but once you realize how many other people are doing the same thing, you’ll undoubtedly relax. Want the full brewery experience? Check out ÜberQuell Brauwerkstätten. We only stopped by to have a look around, but we’re already fans of their beer. While the craft selection in Wolfsburg is fairly limited, some of the stores carry their beers; so, we’ve become acquainted with their offerings. Also, at the risk of judging a brew by its cover, their label designs are really cool. Now, we come to the “hipster” neighborhood of Hamburg; or, the far-left neighborhood, depending on your point of view. No matter what you call it, Sternschanze is definitely the coolest place in Hamburg. It’s crammed full of boutiques, cute coffee shops, unique bars, and alternative music venues. You won’t be able to get through this district without noticing the Rote Flora. The colorful building full of hand-made banners is impossible to miss. This former theater is now a squat and autonomous youth center. It has played host to numerous art exhibitions, parties, and other events. It’s also usually “Ground Zero” when protests break out in Hamburg. If you’re in Hamburg on a Sunday, the flea market is worth a visit. The goods at Flohschanze are as unique as the neighborhood itself. Even if you don’t find a hidden gem in the junk piles, it’s a fun way to spend a few hours with a coffee (or waffle) in hand. You can’t make a list about Hamburg without mentioning St. Pauli. This is the nightlife center of Hamburg, full of clubs, bars, and (of course) the Reeperbahn. For those looking for more family-friendly activities, there’s the harbor, Landungsbrücken, and Old Elbe Tunnel. First up, the harbor. 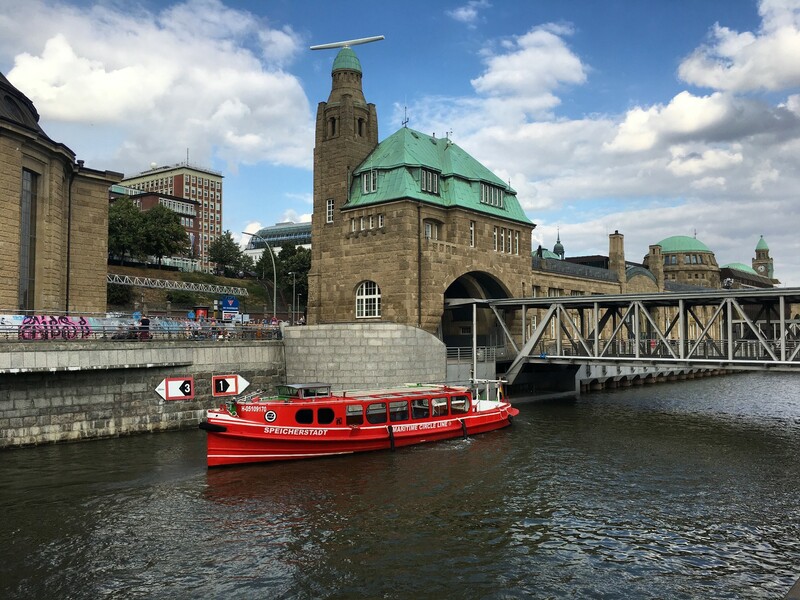 If you don’t have the stomach for a boat tour, but you still want to check out the water, the Landungsbrücken might be the place for you. These floating docks have a number of food stands and kitschy shops to check out. If you’re a meat-eater, trying a fish sandwich while you’re in Hamburg is a must; and while you’re on the Landungsbrücken, you might as well have the best at Brücke 10. It’s one of the most well-reviewed and it’s cheap! Perhaps most importantly, it has my husband’s seal of approval. The Old Elbe Tunnel is a Hamburg landmark dating back to 1911. It’s nearly 24 m (78 ft) below the surface. With a length of 426 m (1,398 ft) it connects central Hamburg with the docks and shipyards on the south side of the Elbe river. You can walk the entire length, which is decorated with art, for free. All you have to do is get past the admittedly rickety-looking stairs leading down, down, down into the dark below. We walked through the Reeperbahn in 2015 (though obviously not the red light district, as women aren’t allowed) and I wasn’t that impressed. Giant, tacky neon signs aren’t really my thing; perhaps that’s also why I didn’t really enjoy Vegas in 2016. During our visit this year, however, we stumbled across a food truck market in the Reeperbahn! So it’s not all bad; at least, not in broad-daylight and away from the neon naked lady signs. If you party into Sunday morning, you might as well stumble on over to the Fish Market for some coffee and a snack or two. Early birds who skipped the party are also welcome. This market is open every Sunday from 5:30 a.m. to 9 a.m. and features far more than fish. In fact, the running joke is that anything not nailed down is for sale. There’s even live music! Just make sure your hangover hasn’t already started; the barkers try to out-yell each other in an effort to attract their customers. Hamburg is where you go if you want to see a big musical theater production in Germany. I haven’t seen a show here, but I have friends who have, and they always have wonderful things to say. Perhaps one day, once my German is good enough, I’ll see if it’s as great as they say. Neuer Wall is the bougie part of Hamburg; if you’re in the market for expensive, designer clothes, this is where you should go. Perhaps unsurprisingly, it’s also the only place I didn’t see graffiti; not just in Hamburg, but in all of Germany. There’s also Hamburg’s zoo, Tierpark Hagenbeck. I still haven’t visited yet, but we’ll be there in late October! We’re heading to Amsterdam this Monday, but I can honestly say I’m kind of more excited about going back to Hamburg just to finally visit this zoo! 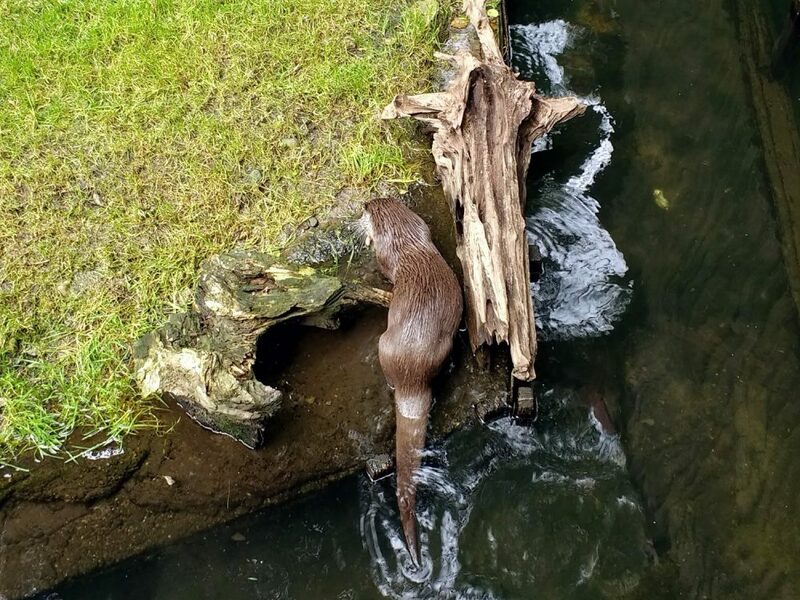 Otters, and Badgers and Ferrets: Oh My! Copyright © 2019	Oddities and Ends. All rights reserved.